I was prompted to write this article after a recent enquiry from someone whose dog had killed a friend’s cat. The caller had gone to a friend’s house with his dog and let his dog run ahead of him excitedly into the friend’s back yard. The dog, upon seeing the friends cat (already excited), rushed toward it, startling it and causing it to run. Unfortunately it was not a good ending and the cat was killed. The caller was clearly devastated and wanted to know if he could ever trust his dog again. This unfortunate incident could have been prevented and handled much better with a little more understanding of canine behaviour. We are regularly asked to introduce dogs to other animals. The following are some tips to make this introduction both safer and more successful. 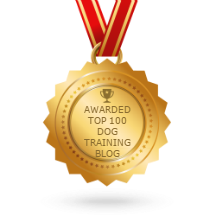 If you are nervous or hesitant, please get professional dog training. 1. The dog needs to respect (be submissive towards) the cat. This is the only way we can be sure they will accept the cat as a pack member. You need to ensure your dog sees your cat as higher in the pecking order than itself if they are to co-exist happily together. The cat should therefore get preferential treatment and privileges in the house, allowed to sit in higher positions and if possible be greeted first. 2. Make sure your dog is calm and passive before the introduction. The cat will not trust the dog if is excitable or unstable (displaying a lack of self control) so ensure your dog is calm and preferably tired before you bring them into the cat’s territory. If you can, it’s always a good idea to take the dog for a long, calm walk before you try this, especially if your dog is hard to manage or has a high drive around cats. You won’t have access to your dog’s mind if there is excess energy in the way. Walking your dog properly (calmly following you on a loose lead) also allows you to show leadership and shift the power into your court. 2. Bring the dog into the cat’s territory. When you first introduce the dog to the cat, the dog should enter the cat’s territory and not the other way round ie make sure the cat is in the room first then bring the dog in. It is submissive for the dog to move toward the cat. I would also recommend the cat is in a higher position than the dog to help the dog understand and give the cat security. 3. Have your dog on a leash and have them enter calmly, after you. It is critical this first introduction goes well! Ensure your dog is on a leash when you enter the cat’s area so you can control their behaviour and energy level. If you dog is able to run toward the cat, the cat may run which will stimulate the dog’s natural predatory behaviour. Once a dog perceives a cat as prey it will be harder to change this perception. 4. Position yourself between your dog and cat at all times. You want to communicate to the dog that you have “claimed” the cat, in a similar way that you would claim a bone. The dog should think it is “your” cat, leave it alone and not try to control or pursue it. This is why it is so important to already have earned the dog’s respect. Stand between the dog and cat so you have more influence. If the dog goes into drive you will have little influence standing behind them. Allowing the dog to be in front of you in this situation is basically saying to the dog that it is ok for them to make a decision and override yours. 5. If the dog goes into drive put it back into submission immediately. Your job as leader here is to maintain this calm submissive energy while the dog is in the cat’s presence, using your voice, energy and a calm (but firm) correction if necessary. Remember, aggression can only be influenced with discipline and authority. Make sure your dog has had enough exercise first, this is vital. 6. End the session by taking the dog away while they are still calm. The time it takes for a dog and cat to trust each other can vary from 5 minutes to several months, and depends on the dog’s and cat’s temperaments, previous encounters, instincts, your relationship with both animals and your ability to manage the situation. There are unfortunately some dogs and cats that will not be able to be in the company of each other safely. Please contact us or someone who has experience with this problem if you are having difficulty introducing your dog and cat.